My name is Nellie Walter. I have been blessed with the opportunity to help my fellow man as a registered nurse for 33 years, specializing in Homecare and Hospice, and a medium. Both of these positions have been more than just work for me. They have helped define me as the individual I am. Life does continues on, a valuable lesson I learned from my patients and the souls that have passed. The bond shared between family and friends is always present and never ending. I am honored and privileged to be able to assist you in reuniting with your loved ones. I perform my work with honesty and integrity. You and your beloved souls that have passed deserve nothing less than this. Life is not easy and we all need support. When someone you are close to dies, it can be devastating. People come for a session for numerous reasons. Some are searching for healing or closure, others are struggling with grief, while some are just plain curious. Know I will give you my all no matter why you are seeking a session. I hope that my website is informative and helps you to take the first step. 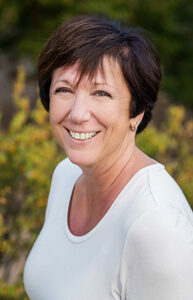 My name is Nellie Walter and I am here to help people with grieving, giving inner peace and closure. When you come to your session I want you to feel as if you are truly having a reunion with your loved ones. Have any questions or concerns? Please visit my FAQ’s page prior to coming to your session. Click here if you would like to schedule a session, have a question or concern, or to contact me. These testimonials are from satisfied clients who have come to me for help, guidance, and relief from grief. © Nellie Walter. All rights reserved. Important: Due to a medical condition of mine, I ask you to please refrain from wearing scents of any kind, including perfume, cologne, body splash/spray or lotion. Deodorant is acceptable. Failure to comply will result in a cancellation of your session.